We’d love your help. Let us know what’s wrong with this preview of The Magnolia Story by Chip Gaines. 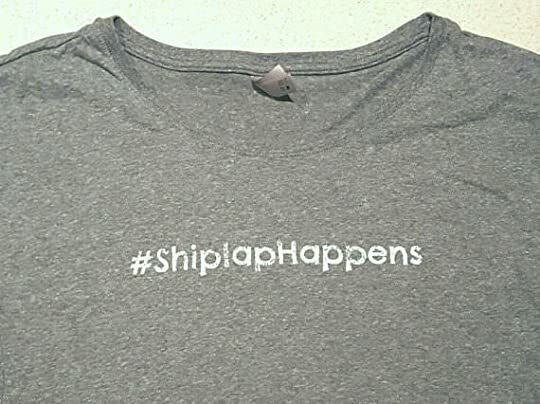 These famous words are now synonymous with the dynamic husband-and-wife team Chip and Joanna Gaines, stars of HGTV s Fixer Upper. As this question fills the airwaves with anticipation, their legions of fans continue to multiply and ask a different series of questions, like Who are these people?What s the secret to their success? And is Are you ready to see your fixer upper? To ask other readers questions about The Magnolia Story, please sign up. Would this book be appropriate for a 10 year old to read? My daughter loves their show. Thanks! also wondering if it's appropriate for a 10 yr old? I'm a huge fan of Fixer Upper, so I was looking forward to reading Chip and Jo's memoir more than I care to admit. Unfortunately, I found it neither uplifting nor inspiring - nor even particularly interesting. 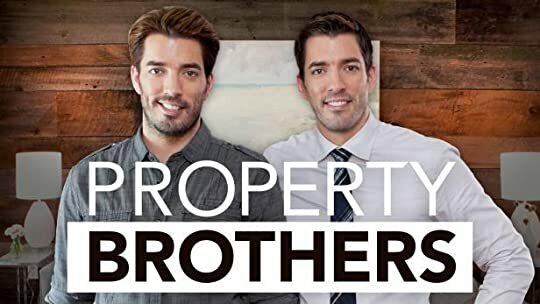 And sadly, it tarnished for me their Fixer Upper image as a couple - not sure I'm going to enjoy watching the show nearly as much as I used to. It's not that the book reveals heinous deep-dark secrets from their past; quite frankly, the book is largely a fluff piece, barely touching upon so I'm a huge fan of Fixer Upper, so I was looking forward to reading Chip and Jo's memoir more than I care to admit. Unfortunately, I found it neither uplifting nor inspiring - nor even particularly interesting. And sadly, it tarnished for me their Fixer Upper image as a couple - not sure I'm going to enjoy watching the show nearly as much as I used to. It's not that the book reveals heinous deep-dark secrets from their past; quite frankly, the book is largely a fluff piece, barely touching upon some of the struggles they faced and breezing over any dark-night-of-the-soul moments. But some of what's discussed just doesn't gel with their on-screen personas. 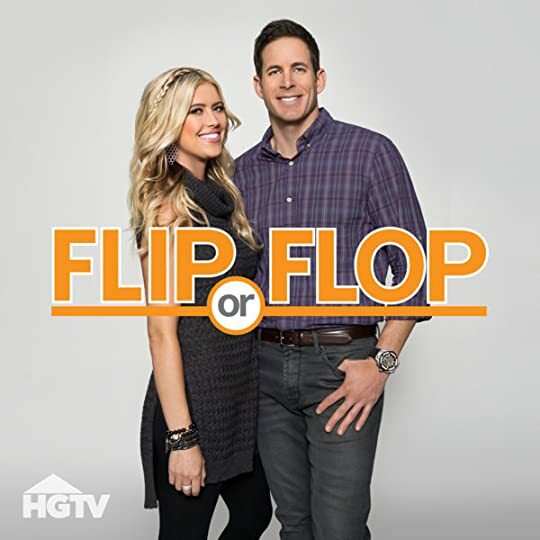 For example, Chip has a tendency to sell the family's home on a whim and buy random flip projects for them to renovate and move into - all without discussing with Joanna. According to the book, Jo's response is always to cry for a few moments, then get on board with Plan Chip because Chip knows best. And the book presents these episodes as periods of growth and improvement for Chip and Jo as a couple, for their family, and for their business. If I'm being honest, every single one of these accounts turned my stomach. This wasn't a couple working together as partners - it was an irresponsible, selfish man-child doing what he wanted and leaving his wife and family to make the best of his choice. And every time Joanna justified Chip's unilateral decisions, it smacked of some weird combination of Stockholm syndrome / Battered Wife syndrome (though obviously on a far lesser scale). My other major problem was the book's message - that if you work really hard, all your dreams will come to fruition. In this day and age, that's a ridiculously facile, almost insulting statement. Throughout the United States and around the world, there are millions of families and individuals busting their asses and failing to even keep their heads above water, much less realize their dreams. But the hard work mantra is particularly difficult to take when you read how much help (divine and otherwise) the Gaines family had in their path to the top. I definitely don't mean to imply that Chip and Joanna haven't worked hard for their success - far from it. It was sometimes difficult to keep track of all the various irons they had in the fire at any one time. But most people don't have parents who can afford to go in with them on land deals or random acquaintances willing to cut them a six-figure check at a moment's notice or landowners who spontaneously decide to sell their properties well below their asking costs. To say the Gaines have led a charmed life would be a massive understatement. I ran across the show Fixer Upper when I was recovering from surgery sometime after their first season, it gave me something to dream about, all the things I wished I could do in my home, if I just had Chip and Joanna’s help. I knew they’d recently come out with a magazine, and I’d frequented their website a few times. The things that I find entertaining, endearing sometimes, are how “normal” they are. Neither comes from a well-to-do family, but clearly from loving families. They are as Ozzie and Harriet or June and Ward Cleaver or Mike and Carol Brady as one can be in real life, except Chip likes to occasionally pretend he can still do the things he did as a buff teenager, mostly, I tend to think, to make people laugh. When my friend (and goodreads friend) Victoria reviewed this, I knew I would read it sooner than later. I’m glad I did. With a few books with heavier topics behind me and a few ahead of me, I wanted a nice read not overly filled with pain and suffering. It isn’t that the Gaines have never had tough times, it’s how they pull together rather than point fingers and blame when those tough times hit or are looming. Their faith plays a strong role in their life, and it is mentioned, but not in a pushy way, and it is relatively infrequent, considering. You see their faith most often in how they’ve managed to make it through tough times. As Victoria says in her review, this is their walk down Memory Lane, from the first words Chip spoke to Joanna to her reactions, what they were like in those just-out-of-University years. And how they seemingly magically ended up having this television show, and their perfect life, and how amazingly grateful they are, and how they show their gratitude. And share it in surprising ways. I can’t compare this with some of the finer novels I’ve read this past year, and it doesn’t really fit the bill as the typical memoirs I’ve read of late. It’s hopeful, and filled with love and life and joy despite the obstacles, but it is as real as real can be. I will state right up front that I came late to the Fixer Upper party, but now that I’m here, I’m like that drunk uncle who won’t leave and is just making a slobbery mess of himself. I am addicted to the show and I can’t get enough of the Gaines. This delightful couple was featured on a segment of CBS’ Sunday morning programming and I couldn’t believe I’d missed the phenomenon that is The Magnolia Story as I live and breathe the world of design. In any case, as soon as I saw they had a book out I queued up for another installment of the Chip and Joanna life. As the summary suggests, this is a walk down memory lane for the Gaines couple starting with the pivotal moment that changed their lives while shooting the pilot for their now successful series, then moving back in time from their first meeting through all their travails and then circling back to the present. Their authenticity comes through every page as they continually marvel at how they arrived at where they are today. And you believe them when they say it’s not about fame or fortune, it’s about achieving their dream of living on a farm, doing work they love, raising their kids and lifting up a town. This is not literature or an authorial memoir, it is a book filled with reflections and a good story about good people who worked hard, loved and believed in one another and with great faith and perseverance, have managed to turn their town of Waco, Texas into a tourist destination. All the while also lifting up their friends’ businesses as they incorporate their artistry into the show. For those with a sensitivity to mentions of God this might cause some discomfort. They’re not pushing Christianity, but they do have an abiding faith. While I’m not religious, I do have a strong belief so I have a flexible attitude toward anyone on the continuum and I found their transparency refreshing. All in all, these were nice people to spend a few hours reading about and I wish them all their future success. Go and find what it is that inspires you, go and find what it is that you love and do that until it hurts. The Magnolia Story was a daily audible deal that I grabbed because I know my husband enjoyed their TV show. We listened to this on a day road trip. Both Chip and Joanna narrated the book. The way they told the story made it feel like I had gone out to dinner with them and they were sharing their life story with me. It was entertaining and inspiring to listen to how these two began and where they are today in both their professional and personal lives. If you're a fan of their TV show then I thin The Magnolia Story was a daily audible deal that I grabbed because I know my husband enjoyed their TV show. We listened to this on a day road trip. If you're a fan of their TV show then I think you'll enjoy getting to know them even more through their book. I like Chip and Joanna. HOWEVER. I have a feeling this is going to be an unpopular opinion, but I thought this book made them look...not good. Whether it was Chip leaving his newborn baby home alone TWICE, tying said baby's car seat to his 4-wheeler, or buying multiple homes and forcing his wife/family to move, supposedly without ever discussing it with her,or whether it was Joanna lamenting over her tiny yard that somehow could hold a garden, a pergola, a dining area, and a chicken coop. Or may I like Chip and Joanna. HOWEVER. I have a feeling this is going to be an unpopular opinion, but I thought this book made them look...not good. Whether it was Chip leaving his newborn baby home alone TWICE, tying said baby's car seat to his 4-wheeler, or buying multiple homes and forcing his wife/family to move, supposedly without ever discussing it with her,or whether it was Joanna lamenting over her tiny yard that somehow could hold a garden, a pergola, a dining area, and a chicken coop. Or maybe it was the impression given by the show that this was a couple who somehow hit the jackpot of exposure allowing them to become rich and famous, when in reality, they had enough money prior to Fixer Upper to be able to run several businesses, own several properties, and were in the middle of being the owners/builders of an entire subdivision of homes. Or possibly it was their multiple errors in using the word "literally" (No, Chip, you and Joanna are not LITERALLY from two different universes). Thing is, I knew she'd love it, and she did. She read it in its entirety on Christmas day. I finally got around to it just now, but once I got into it, I also gobbled it up quick. You see, we're both big fans of Chip and Jojo, the hosts from the tv show Fixer Upper. We've watched plenty (too m This book was my bowling-ball-with-my-name-on-it gift to my wife this Christmas, à la Homer's gift to Marge in that old Simpsons episode. What I'm saying is I bought this for her, but it was really for me. All in all though, I can't complain. This is what it is and I didn't truly expect the world from this book. I got a fan's perspective and that's all one honestly deserves. I suspect most of the show's fans will be perfectly happy with The Magnolia Story. I scanned over a few reviews and noticed complaints that I hadn't considered, but in hindsight, yes, they do bother me too. Such as, Chip's manchild-like habit of buying new houses and even houseboats without consulting his wife, or forgetting that he's a dad and leaving his newborn to go to the store on multiple occasions, really does not endear me to the man. Some of it can be forgiven for reasons given in the book, but still, there was some negligible behavior going on there. Also, if you don't want to hear the name God spoken every other page, steer clear. I didn't realize they were so churchy, because you don't get much sense of that on the show. And there were times when I want to shake them and say "No, you were the cause of the that, not anyone else!" 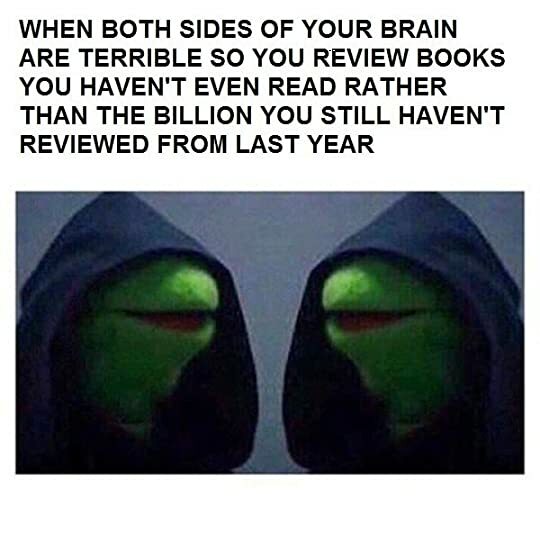 whether it be for good or bad reason. Often decisions are attributed to "the voice of God" and I want to say, "Actually, you decided to sell that property to the Gaines' at their asking price, because they're good people who are very charming, and jeez louise, it's an old farmhouse in the middle of Waco, Texas during a time when Waco wasn't all that! You weren't about to get a better offer and you know it!" “Are you ready to see your fixer-upper?” HGTV fans know these words well. They are spoken by Waco, Texas’, most famous couple, Chip and Joanna Gaines, on their weekly television show as they are about to reveal the fruits of their labors to the homeowners who eagerly await the first look at their newly refurbished homes. The Magnolia Story recounts Chip and Joanna’s story in their own words. They tell us how they met, how they struggled, and how they overcame tremendous obstacles. Why “magnolia”? “Are you ready to see your fixer-upper?” HGTV fans know these words well. They are spoken by Waco, Texas’, most famous couple, Chip and Joanna Gaines, on their weekly television show as they are about to reveal the fruits of their labors to the homeowners who eagerly await the first look at their newly refurbished homes. The Magnolia Story recounts Chip and Joanna’s story in their own words. They tell us how they met, how they struggled, and how they overcame tremendous obstacles. Why “magnolia”? The magnolia is one of Jo’s favorite flowers. It is both beautiful and tough, and I think it represents these individuals, this couple, and their relationship. Most of the telling is Jo’s, with Chip chiming in now and then (he does admit that Jo is right almost all the time). She says that they are proof that opposites attract; she was a communications major who tends toward the introvert side of the spectrum. Chip is anything but. He can charm anyone, and if this book is any indication, he usually does. I love their show. Chip is a total goofball, and Jo good-naturedly puts up with his adolescent nonsense. But the man is a skilled craftsman, and Jo points out time and again in the book what amazing business sense he has. As a business major, he had learned the basics at Baylor, and he was a born entrepreneur. Even as a young child, his mind was churning with ideas of what businesses he could run. Yes, he has taken a lot of chances, but he has had mentors along the way, and he has listened and learned well. Jo found her design inspirations while living in New York during her internship with CBS News. She fell out of love with TV journalism, but she found her calling when she browsed the boutiques and shops in the Big Apple. I expected more humor, honestly. That’s not to say that there aren’t some pretty outrageous moments recalled in these pages. What struck me the most, however, was the strength of the bond that these two people have with each other and with their family. They agree that they are stronger when they work together than when they are apart. They don’t need that alone time that many couples crave. 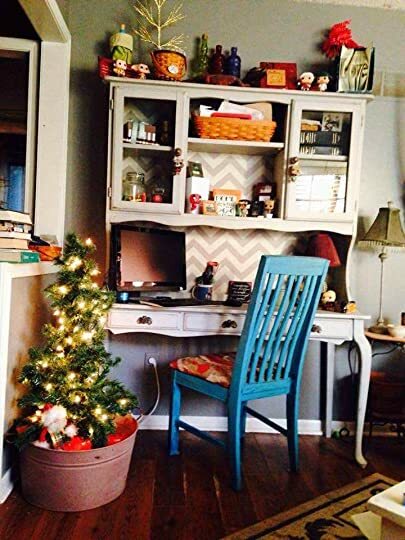 Another lesson that Jo puts so well is sort of an “aha moment” that she had amidst the chaos of being a tired mom in a messy house when she realized that her home would never be “perfect.” It was when she realized that the happiness of her kids came first and that enjoying them was more important than anything else. So with all of their financial difficulties and so many projects on their plate, she realized that she could “strive or thrive.” The Magnolia Story is filled with moments like these. As a fan of the show, it was fun for me to get to know Chip and Joanna Gaines as people and to know that the people who appear on camera really are being themselves. They are simple, honest folks with good hearts. When they remodel a fixer-upper for a couple or a family, it is very personal. They are passionate about each project, and it shows. That sounds like an old-fashioned business model, doesn’t it? Honest. Real. Hard-working. Refreshing. I have a confession to make. My name is Kelly and I am addicted to Fixer Upper. Maybe not as much as the woman I see all around town wearing various shirts with stuff like this on the front . . . . I have one thing to say to her . . . . But I am addicted enough that the DVR is set to record every episode and I watch every single one of them – even the ones I’ve already seen three or four times. I arrived late to the Fixer Upper party – only discovering it this year. I’m not a big television watcher to begin with and thanks to a house full of men with sports and Netflix addictions, there was no way Chip and Joanna could even ping my radar. Then one day I was home alone, sick in bed and flipped over to HGTV just in time for an episode of Fixer Upper. Since I am an idiot who doesn’t know how to use a remote control, I ended up hitting the button that would record the entire series. Thank goodness, because I was instantly hooked and completely smitten with both Chip and JoJo. While I had no idea before, I quickly discovered that my style probably easily falls into the “modern farmhouse” category . . . . I found out my most favorite day is definitely . . . .
And I was even willing to go to my arch enemy . . . .
Ugh, Target . . . . In order to check out the new Magnolia Home line. 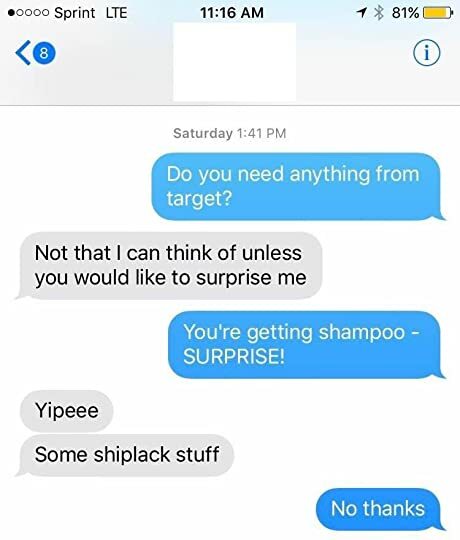 Or as my husband would say: “SHIPLACK” . . . . I don’t care if this little book is an additional money grab by the Gaines family or a puff piece or whatever else anyone wants to call it. Chip and Joanna seem legitimately wonderful (and I am terrified of discovering they aren’t as perfect as they appear to be) who should cash in on these “15 minutes” of fame to the fullest extent. That being said, I probably won't ever get around to reading this BECAUSE it is most likely not much more than fluff and a money grab and I don’t want to have to be honest and give it a low rating should I read it and not like it. I’m simply going to leave this little bit of nothing out in the universe since I do like this couple so much . . . . and I don’t like anyone so that’s really saying something. I’m also going to leave this here . . . . .
A few quick thoughts that have stuck with me since listening to this audio. Chip and Joanna narrated this - love that, and they had their banter, talking together thing just like the show. I love love love that they don’t own a tv (wish I could do that...). They are a real couple who have worked through their own life struggles, but they consistently come out on top because they are a true TEAM when times are tough. There's a chance that I'm too cynical for this book. I think I'll stick with their show and call it good. I was late to the Fixer Upper show on HGTV. Fortunately, I was able to binge watch all 3 seasons over a lazy weekend and fell in love with the Chip and Joanna show. I have absolutely nothing in common with this couple - Happily single! Happily childfree! Happily a big city girl! Yet the authenticity and genuine love they have for each other, their family, and what they do, it's impossible to just not want to hug them. The book reflects their life's journey from Joanna's and Chip's perspective, fr I was late to the Fixer Upper show on HGTV. Fortunately, I was able to binge watch all 3 seasons over a lazy weekend and fell in love with the Chip and Joanna show. I have absolutely nothing in common with this couple - Happily single! Happily childfree! Happily a big city girl! Yet the authenticity and genuine love they have for each other, their family, and what they do, it's impossible to just not want to hug them. The book reflects their life's journey from Joanna's and Chip's perspective, from their youth, to their meet-cute, to their marriage and kids, to the show. So often we hear people complain about their jobs, but this is a couple who work hard and loves what they do (I'm sure there are moments they'd disagree). I admire their work ethic, love of family, and love of life. This was an easy read that provides a happy feel good feeling. This book is much like the "Fixer-Upper" TV show that made Chip and Joanna Gaines famous -- wholesome, light, a little bit funny, and no real drama. Die-hard fans of the show will likely love the book. The basic message here is "work hard and follow your dreams. And don't forget that God has a plan for your life". If you like these two, and this sort of message resonates with you, this will be one quick read. Just know that there's not a lot of substance. Lately I've been enjoying the show "Fixer Upper" (thanks, Hulu!) and Chip and Joanna are so much fun to watch that I decided to check out their book. I listened to this on audio, which was read by both Chip and Joanna, and that made it an enjoyable listen. "The Magnolia Story" is a charming memoir because it's the story of two charming people. It's mostly the story of how Chip & Jojo met and got their start fixing up homes, but there are also some stories from each of their childhoods, and a Lately I've been enjoying the show "Fixer Upper" (thanks, Hulu!) and Chip and Joanna are so much fun to watch that I decided to check out their book. I listened to this on audio, which was read by both Chip and Joanna, and that made it an enjoyable listen. "The Magnolia Story" is a charming memoir because it's the story of two charming people. It's mostly the story of how Chip & Jojo met and got their start fixing up homes, but there are also some stories from each of their childhoods, and a lot of stories about what a goofball Chip is. I did enjoy the story of how the couple first got offered a TV show, but serious fans of "Fixer Upper" may be disappointed because there isn't much trivia about the show itself. There are a lot of references to God because both Chip and Joanna are open about their Christian faith, which may be either off-putting or comforting, depending on your view of religion. 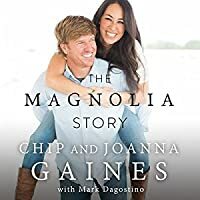 The delightful story of the life and times of Chip and Joanna Gaines. The Magnolia Story is the first book from Chip and Joanna, and it offers a detailed look at their life together, from how they first met to how they became the media darlings of HGTV. It includes the very first renovation project they ever tackled, the project that nearly cost them everything, childhood memories that shaped them both, and the twists and turns that led them to the life they share on the farm today. 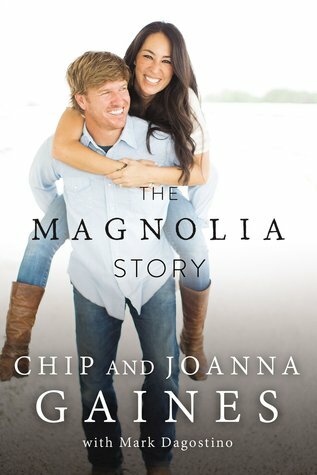 “I re The delightful story of the life and times of Chip and Joanna Gaines. This book was so much fun to read, that I listened to it twice! Chip and Joanna performed the narration, so hearing the story of their life and times in their voice was perfect! If you like Fixer-Upper you will love this book. If you want to know the answer to the question of whether Chip is really that funny, you’ll find it here. I laughed when Joanna told the story about the time Chip went to the grocery store, while Joanne was out running, but he forgot to take their new baby with him. I was amazed when I heard the story about Chip buying a houseboat site unseen and it turned out to be a leaky wreck, but that wreck also turned out to be the start of their huge HGTV television hit. I appreciate how Joanna uses the word “thrive” to describe their life, and I was most impressed by the maturity of this young couple and learned a great deal from this book. I loved hearing about how this couple has grown a business, a television series and a family. The Magnolia Story is bright and breezy, and in a word, delightful. If there is a more gracious, talented, hard-working, joyful, morally astute, and down-to-earth reality-show couple featured on HGTV (or any other network for that matter) I'm not sure who they would be. I'd be hard-pressed to name a close second. And if their show "Fixer Upper", along with their lovely memoir, is any indication of the sincerity and integrity of Chip and Joanna's hearts, they will continue to shine bright for years to come. Beautifully honest, artfully complied, elegantly simplistic, memorable and wise are thoughts that come to mind when thinking of The Magnolia Story . Alternating narratives between Chip and Joanna, the book reads much like sitting down with a cool glass of lemonade and a plate of heavenly scented baked goodies for a casual, heart-to heart chat about life, love, dreams, ambitions, false expectations, courage to succeed, courage to fail. And of course, what it's like to be (and live with) the insanely unpredictable, but oh so upbeat and funny, Chip Gaines - and the gorgeously amazing and talented, decor savvy and level-headed Jo-Jo. All the way around, well worth the purchase price. And certainly worth recommending to readers everywhere. Ya'll, this was awesome. Chip and Joanna are some of the most amazing people. They are just some of the most down to earth and real people I have ever heard of. This book was a wonderful glance into their busy, beautiful life. It made me laugh hysterically, (Chip has the effect on people, I imagine) and *almost* made me cry. They are just real people, with real issues, and a VERY real God! There is no romanticization, drama, or anything like that with either the TV show or this book. What you se Ya'll, this was awesome. Chip and Joanna are some of the most amazing people. They are just some of the most down to earth and real people I have ever heard of. This book was a wonderful glance into their busy, beautiful life. It made me laugh hysterically, (Chip has the effect on people, I imagine) and *almost* made me cry. They are just real people, with real issues, and a VERY real God! There is no romanticization, drama, or anything like that with either the TV show or this book. What you see is what you get. To quote Joanna: "We love our kids, we love each other, we love this town, and we love our clients That's the heart behind our show. We're a real couple and a real company, and we do real jobs or people with real budgets." I feel like this is going to be an unpopular opinion, but here goes: I wish I hadn't read this book. I like Fixer Upper. It is a fun, distracting show, and I enjoyed the hosts and their farm and their kids and their antics. I knew about the whole anti-gay church thing, but I hoped they would address that, and I was willing to give them the benefit of the doubt. Instead, where I once found Chip charming, I am now appalled that he buys homes without consulting his wife and expects her to just deal I feel like this is going to be an unpopular opinion, but here goes: I wish I hadn't read this book. I like Fixer Upper. It is a fun, distracting show, and I enjoyed the hosts and their farm and their kids and their antics. I knew about the whole anti-gay church thing, but I hoped they would address that, and I was willing to give them the benefit of the doubt. Instead, where I once found Chip charming, I am now appalled that he buys homes without consulting his wife and expects her to just deal with it. I am annoyed that he left his newborn son alone, not once, but twice, because he just kind of forgot that he existed, and then bungee corded him in a car seat to the front of a four-wheeler and didn't see any problem with that. Where I once found Jo level-headed, now I am frustrated that she doesn't call her immature husband out on his crap. They thank God for all of the blessings in their lives, and basically preach that if everyone would just rely on God, it will all work out. But they have led charmed lives, and not everything works out, even for those who pray really hard. Jo talks about the young mother of four who died of cancer and how she learned so much from her, but why didn't it work out for that woman? Just stop, Chip and Jo. You've worked hard, and you've been lucky, and you have friends who can lend you $100,000 to get you back on your feet. Not everyone has that kind of life. Follow God. Follow your dreams. Stop surviving and start thriving. Never give up. Contentment and joy are found during the journey. I have a slight addiction to HGTV. It’s not a constant addiction; it merely flares up from time to time. However, there is one HGTV show that I always watch as soon as an episode airs, and that show is Fixer Upper. I love Chip and Jo’s relationship, and the family dynamic they have with their four kids. I love seeing little snippets of their life on their farm and how Jo handles Chip’s endearing but exasperating dorkiness. I love how involved they are in their community, and how supportive they I have a slight addiction to HGTV. It’s not a constant addiction; it merely flares up from time to time. However, there is one HGTV show that I always watch as soon as an episode airs, and that show is Fixer Upper. I love Chip and Jo’s relationship, and the family dynamic they have with their four kids. I love seeing little snippets of their life on their farm and how Jo handles Chip’s endearing but exasperating dorkiness. I love how involved they are in their community, and how supportive they are of artisans in their area and how they do their best to promote them. I love their lifestyle, laid-back and kind of old-fashioned and unapologetically Christian but in a way that loves instead of judges. And, obviously, I love their designs, how they take a run-down house that others would bulldoze without a second thought and make it a home that is perfect for their clients. When I saw that Chip and Jo had written a book, I honestly just picked it up because I love them and want to support them. I’m not a big nonfiction reader, so I wasn’t sure that I’d ever actually read it. But I needed something bright and positive and inspirational, and this tiny book was exactly what I was looking for. Here is a couple who has faced hardships and muscled their way through with prayer and unflagging optimism. From a really rocky start after returning from their honeymoon to becoming HGTV’s darlings, they’ve worked incredibly hard for everything they have. (They’ve never even owned a television!) What I loved most about this book was seeing the evolution of their relationship with each other, and how it’s the foundation upon which they built every aspect of their business. Even in the pages of the book, each of them was present on every page, with Chip and Jo each having their own font. It was adorable. The Magnolia Story was so inspirational to me. It focused so much on family and helping each other follow their dreams. If something is your passion, share it with those you love most and start working to attain it. That’s not to say that there won’t be highs and lows. There will be seasons of feast and seasons of famine, seasons of celebration and seasons of mourning, in every life. Because that is life! I know personally, I appreciate the highs in life so much more for my time spent in the trenches. But sometimes that fixation on hills and valleys can lead up to putting off our dreams until the perfect moment. Forget someday; dive in now. You never know where God will take you. I rarely dish out five stars for anything that was written in this century but this book touched my heart so deeply, I had to rate it so highly. Obviously like the rest of society, I've fallen under the Magnolia spell. Chip and Joanna Gaines are worthy of all the praise dished their way because they quickly direct it to our Supreme Creator. I'm embarrassed to admit, but I didn't think anyone who wasn't LDS could describe how I see and experience the world. I no longer believe that. Joanna Gaines I rarely dish out five stars for anything that was written in this century but this book touched my heart so deeply, I had to rate it so highly. I'm embarrassed to admit, but I didn't think anyone who wasn't LDS could describe how I see and experience the world. I no longer believe that. Joanna Gaines is a hero of mine now because she has done something extremely difficult. Explained her faith in a non-apologetic way that is warm and inviting. There is something very special and sacred to me when someone shares their story. Thank you Chip and Joanna for your confidence and faith in a Higher Power. You've increased my faith in God. First off, I am a fan of Fixer Upper and Chip and Joanna Gaines! I loved their personality, their family values and their creativity. The book The Magnolia Story, allows to reader to travel back to Chip and Joanna's childhood, high school, college years, courtship, honeymoon and their struggles to begin their business. Throughout the book, one learns about their beliefs in God, family and community. "Go after your dreams, don't quit and don't give up. Know that God has been there from the beginn First off, I am a fan of Fixer Upper and Chip and Joanna Gaines! I loved their personality, their family values and their creativity. The book The Magnolia Story, allows to reader to travel back to Chip and Joanna's childhood, high school, college years, courtship, honeymoon and their struggles to begin their business. Throughout the book, one learns about their beliefs in God, family and community. "Go after your dreams, don't quit and don't give up. Know that God has been there from the beginning - and He will be there until......."
My parents have spent many an hour watching HGTV, DIY, and similar shows on other networks, so, I've gotten to know "home improvement" celebrities such as Nicole Curtis, Peter Walsh, the Scott brothers, and Andrew Dan-Jumbo rather well. What did I think about this book? It's a very inspiring story of romance and faith in God...all the more so because it's true. Letting both Chip and Jo tell their sides of the stories separately was a nice touch. Reading this makes me want to read more biographies My parents have spent many an hour watching HGTV, DIY, and similar shows on other networks, so, I've gotten to know "home improvement" celebrities such as Nicole Curtis, Peter Walsh, the Scott brothers, and Andrew Dan-Jumbo rather well. The husband and wife duo of Chip and Joanna Gaines have captured the imagination of DIY enthusiasts with their hit HGTV show Fixer Upper. Faithful followers of the program will know that the couple's reach extends way beyond the TV screen. Chip and Joanna are the owners of Magnolia, a multifaceted company that focuses on real estate, renovation, and design. In their first book together, The Magnolia Story, Chip and Joanna give readers some insight into the "Are you ready to see your fixer upper?" I love Chip and Joanna. I can't help it. Even though I've only seen a couple episodes of their show Fixer Upper, I still feel like I know the two personally. They're some of the most realistic, honest, down-to-earth people. Their love for their home, family, work, and Jesus is evident in everything they do--a rare and beautiful find in the world of reality TV. Overall? This book was a lot of fun! Chip cracks me up and makes me wonder how Joanna doesn't go insane. XD It was great learning about so I love Chip and Joanna. I can't help it. Even though I've only seen a couple episodes of their show Fixer Upper, I still feel like I know the two personally. They're some of the most realistic, honest, down-to-earth people. Their love for their home, family, work, and Jesus is evident in everything they do--a rare and beautiful find in the world of reality TV. Overall? This book was a lot of fun! Chip cracks me up and makes me wonder how Joanna doesn't go insane. XD It was great learning about some of their adventures--from sleeping in a trailer in the pouring rain next to a cemetery to buying the farm they always dreamed of owning. There were so many great things to glean from this book, as well. I was especially touched by Joanna's journey in overcoming perfectionism and realizing that not everything has to be perfect. This is something I've been personally struggling with, so it really hit home with me.